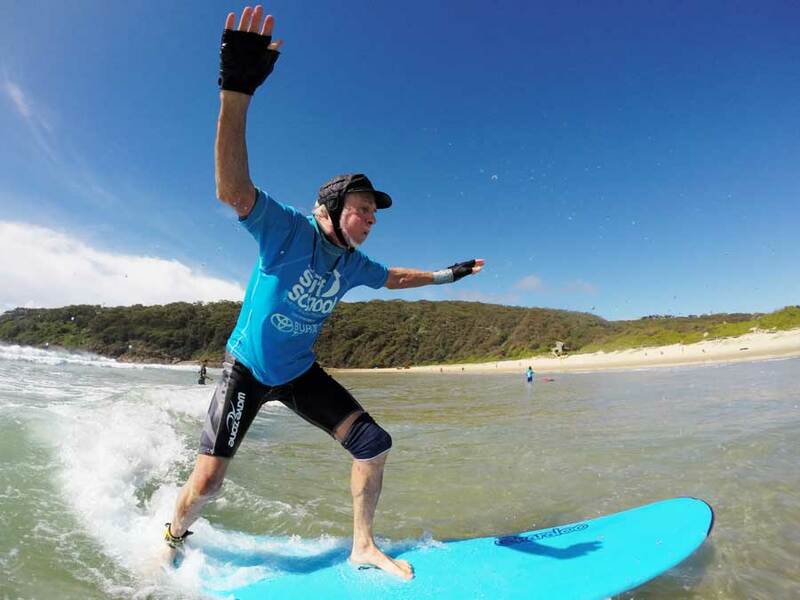 All our instructors are highly experienced and Accredited Surfing Australia Level 1 coaches. 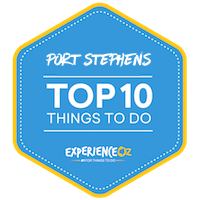 They all have 15 years minimum surfing experience, a minimum 4 years coaching experience, and a tertiary qualifications in teaching and competition experience in pro junior and amateur surfing events. Our coaches provide you with the very best instructions to help make your surfing experience a truly memorable one. Our instructors are in the water with you the whole time, helping you every step of the way. Our coach to student ratio is 1 instructor to 8 students for our Group Surfing Lessons. If you have always wanted to try it, come on. Book in today, for your introductory lesson you will love it!! 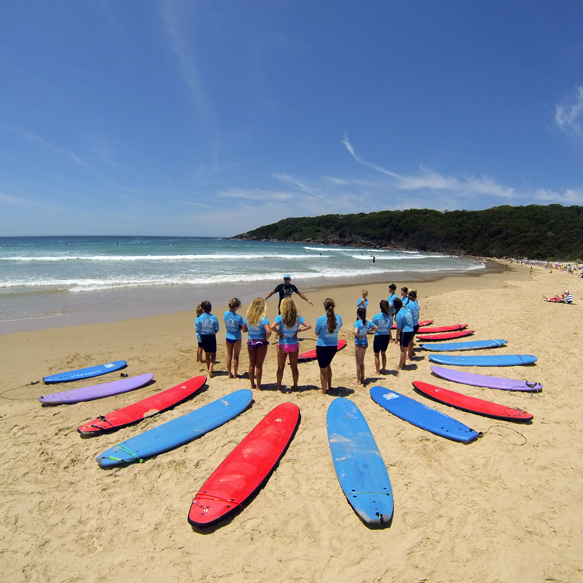 We run lessons daily but you will need to book your lesson before arriving at the beach. Surfs up! If you think just one lesson just isn’t enough! 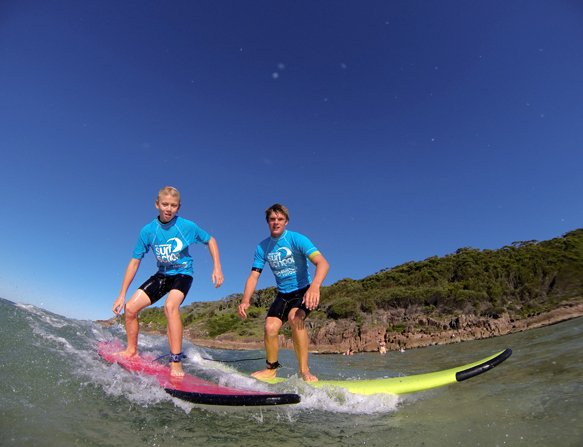 Then book in for our 2day progressive lessons & build up your confidence in the surf faster. Great activity for a weekend trips. OK, Lets get serious! 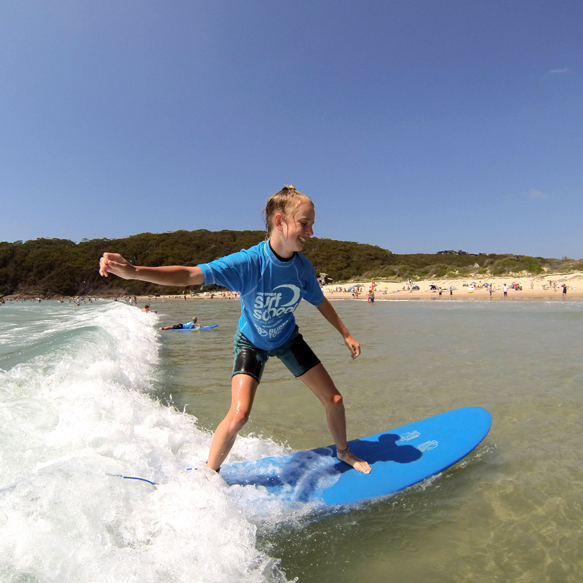 Take advantage of our very popular 3-day progressive Surf programs. Learn from our trusted coaches, who will help you to be well onto your way to becoming a true surfer! The Ultimate Surfing Dream! For beginners who want to surf like a pro! 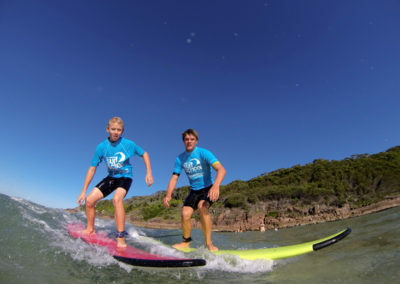 Our popular 5 lesson package is for anyone who wants to turn there surfing dreams into reality.